An extrovert, the spirited Titania has a more forward, cooler presentation but its presence, dynamic energy, and bass response are electrifying. Sheer power, colorful timbre, and transient speed are its strong suits. As a general observation, its soundstage is a little more proximate, and doesn’t quite match the dimensionality of NG’s reference cable. Still, it is one of the more purely exciting and toe-tapping cables in recent memory. Everything about this blue-chip wire screams extreme. Its sophisticated construction uses vari-strand silver and solid-core silver conductors throughout. Sonically, there’s a feathery light-footedness to its sound that doesn’t so much add power as it does transient speed. By virtue of a bottomless well of dynamic contrast and tonal color the Kimber unearths a body of energy and atmosphere in even the most familiar recordings. 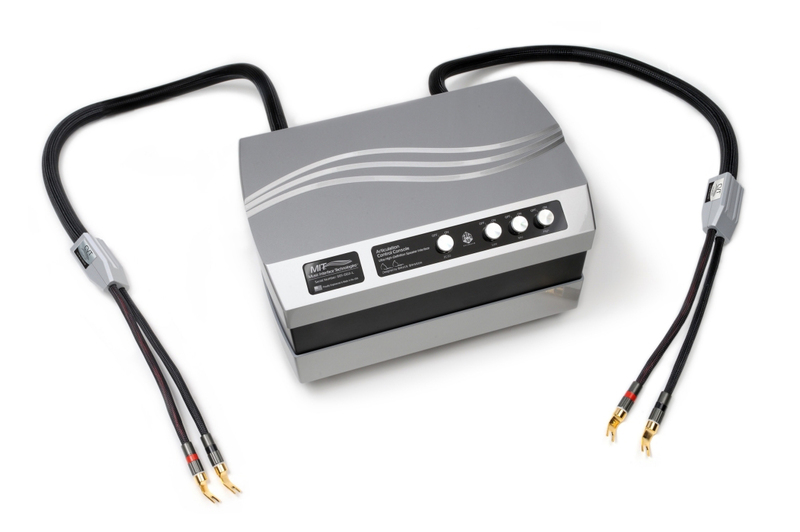 EnKlein is the new kid on the block in the cable marketplace. But its new phono cable, based on a sophisticated design to lower, if not eliminate, noise, suggests that it is a comer. 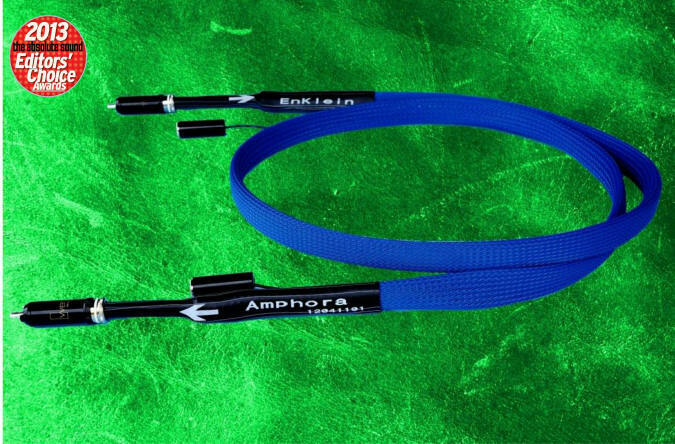 The Amphora cable, which is made out of silver, is extremely speedy and transparent. It is also flexible and lightweight, but delivers excellent dynamic impact. As with all phono cables, however, careful auditioning is a must. The Amphora does not suffer from the etched sound of many silver cables, but future iterations could allow more tonal weight to emerge. This thick blue cable takes the patented technologies in Cardas cables to new heights. The balanced and single-ended interconnects and the loudspeaker cable are functionally identical in sound. But that doesn’t mean a ‘”house” sound; instead, Clear sounds as close as you can get to having no sound. Eclipsed in performance only by Cardas’ Clear Beyond. Where Clear used four conductors, Clear Beyond features eight, meticulously built up using multi-gauge strands in a “Golden Section” symmetrical tri-axial design. The larger strands are built upon this core until the inside of each conductor looks like a copper nautilus shell in cross section. 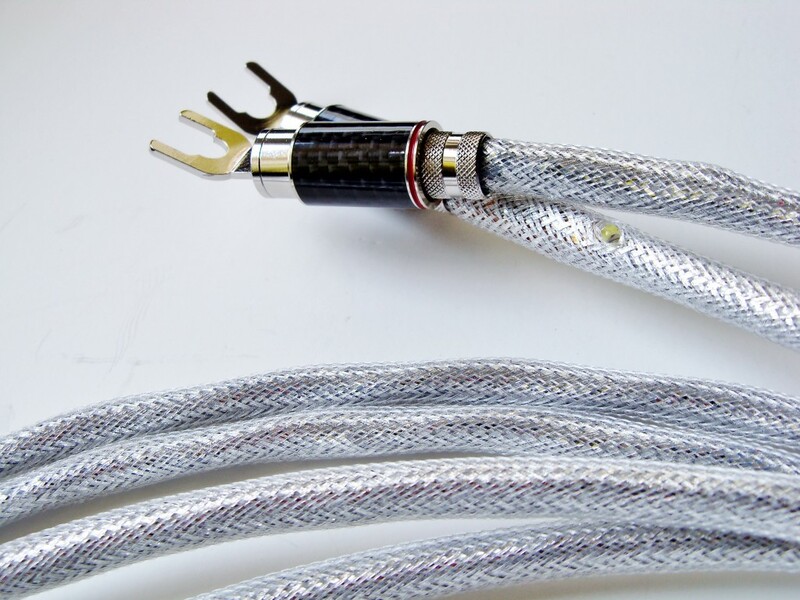 Clear Beyond’s eight conductors can be used to bi-wire your loudspeakers or for “shotgun” bi-wiring. 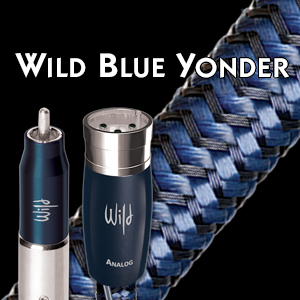 Pure silver wire, long ago exiled into conductor Purgatory, has been making a comeback of late and AudioQuest’s Wild Blue Yonder (or WBY) interconnect is one strong example. AudioQuest has really elicited the strengths of this metal in WBY’s openness and extension—and left behind the glaze, glare, and icy sheen of early silver efforts. Keep a little polish handy, however, as the heavy silver-sheathed RCA terminations do tend to tarnish. It’s said that silence is golden, a notion reinforced by the low noise of AP’s top-tier Micro Golden Oval interconnect. In this case silence is almost literally golden, as the cable has a coating of pure gold over its 18AWG copper conductors. Representing the most advanced version of AP’s hollow-oval geometry, the Micro Golden Oval is as stirring, warm, resonant, and musically natural an interconnect as NG has heard, and has to considered a state-of-the-art contender. The all-silver Dominus is very detailed, very dynamic, very rich. 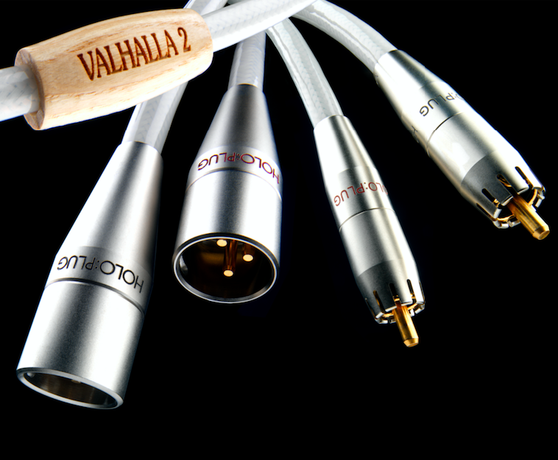 Less open than Nordost Valhalla and darker in balance, it is also quieter, and because of its fluid-damped construction, virtually immune to floorborne and airborne vibration. 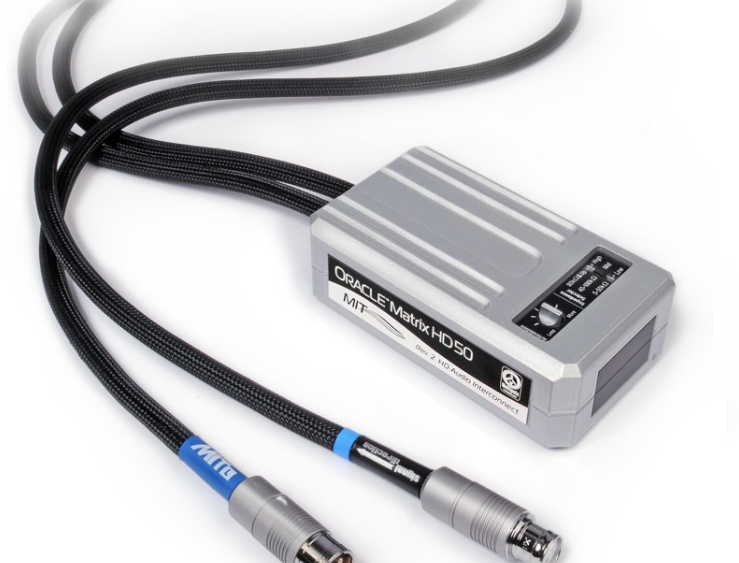 Making use of technology derived from MIT’s top-line Oracle MA-X interconnect, the Oracle Matrix 50 interconnect is designed to match the specific input impedance of whatever gear it is connected to via an adjustable three-position impedance switch. When impedance is set properly, the 50 performs exactly as advertised—increasing transparency, neutrality, transient speed, and low-level resolution by optimizing the interconnect/component interface. The perfect option for those looking for MIT MA-X sound quality at a far more affordable price. The best wire AudioQuest Founder William E. Low (WEL) knows how to design. 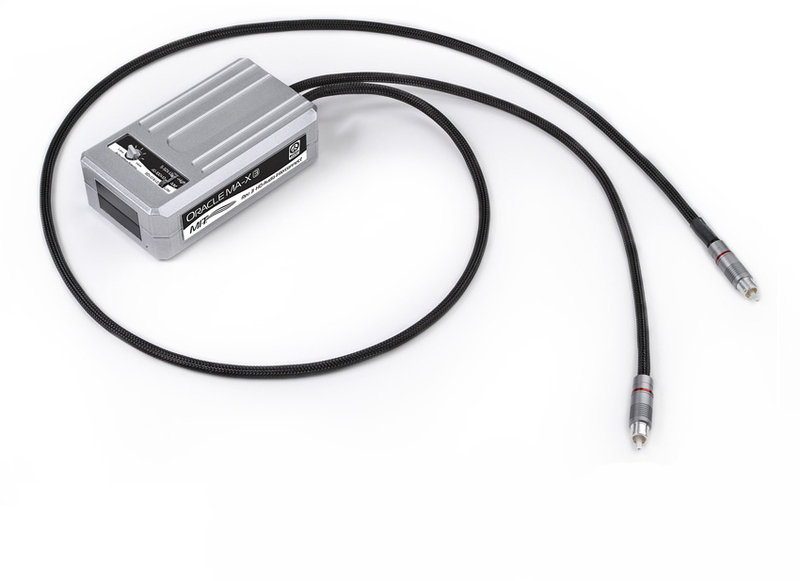 This no-holds-barred interconnect features large Teflon air-tubes, XLR or RCA connectors custom-machined from nearly pure copper, direct-silver plating of the connectors, solid-silver conductors, and cold-welded joints. 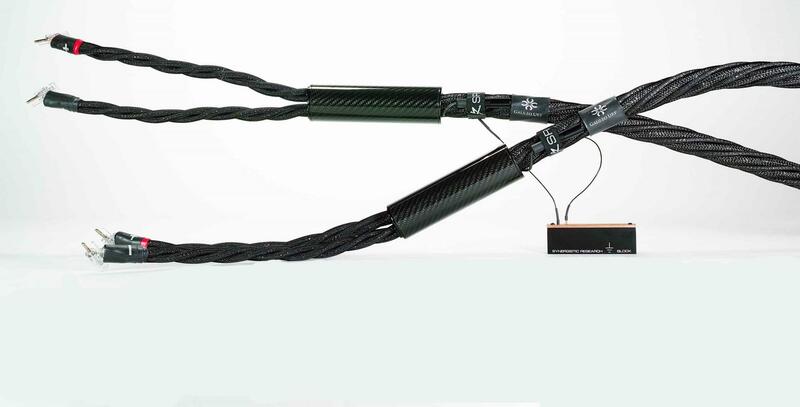 The 72V Dielectric Bias System “charges” the dielectric for improved sound. 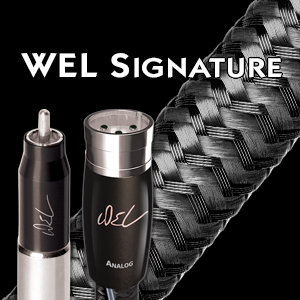 Sonically, the WEL Signature reveals more about how the source component sounds than how the interconnect sounds. Timbres are vivid yet natural, and dynamics are spectacular. Interconnect, $7500/1m pr. RCA; $9500/1m pr. 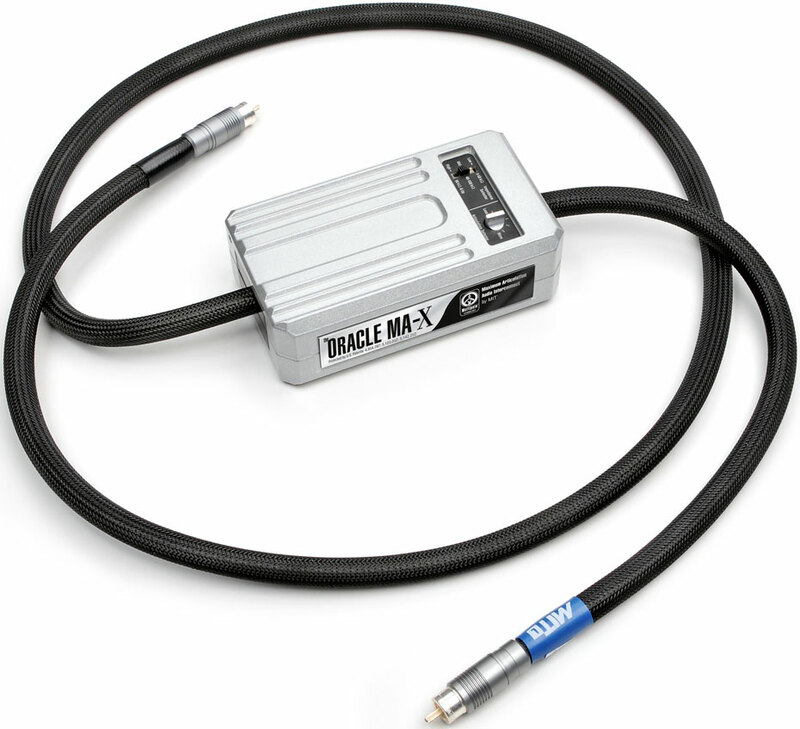 XLR; speaker cable, $15,000/8' pr. JV has heard a lot of Synergistic Research cable, but Ted Denney’s latest creation, the Galileo UEF is quite simply the best wire Mr. D. has yet designed—better even that the original Galileo, which cost four times as much. 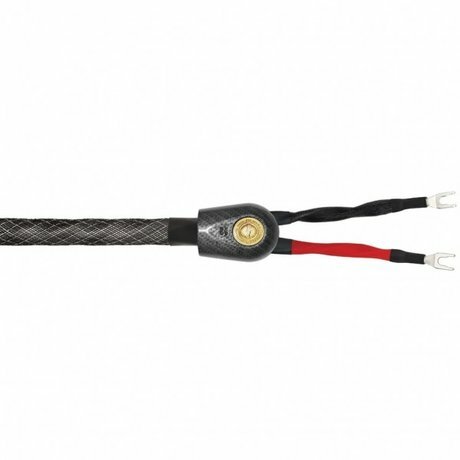 Although it is a bit of a pain to use—because of the various grounding connections required—it is far less of a pain than previous SR wires, simply because the dielectric biasing circuit is built into each cable. More importantly, the UEF marks a dramatic shift in sonics, coming far far closer to neutral in balance than the darker-sounding originals, without sacrificing any of the speed, color, resolution, or power-range solidity that SR is famous for. A genuine breakthrough for Denney and Co. These cables and interconnects reside near the zenith of audio reproduction, offering an almost unlimited palette of tonal colors, exceptional transparency, and explosive dynamics. The Valhalla 2’s ability to reproduce layer after layer of orchestral detail is as engrossing as it is astounding, a testament to their speed and precision. The transient fidelity of the Valhalla 2 is also very difficult to quarrel with. 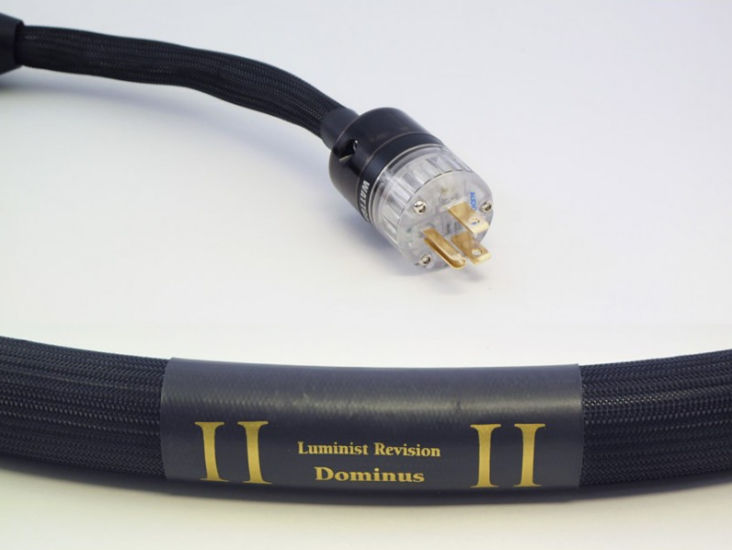 Some listeners may prefer a more sumptuous presentation, but for that there is always the very summit of Nordost’s line, the Odin cables. $7995/8' pr. ; interconnect, $4495/1.2m RCA and XLR pr. Diamond is a Litz-wire air-dielectric design incorporating tiny, individually insulated strands of ultra-pure copper. Impeccably assembled it is also a cable of ultra-wide expressiveness and resolution. Its sound is settled, fast but not twitchy or brittle and utterly devoid of histrionics. In tonal character the Diamond edges toward the warmer side of the spectrum but only by a breath. It’s not forward-leaning, but it doesn’t flinch from hard rock sizzle or flesh-eating dynamics, either. Its approach embodies a softer sell that grows ever more multi-faceted, musical, and transparent. 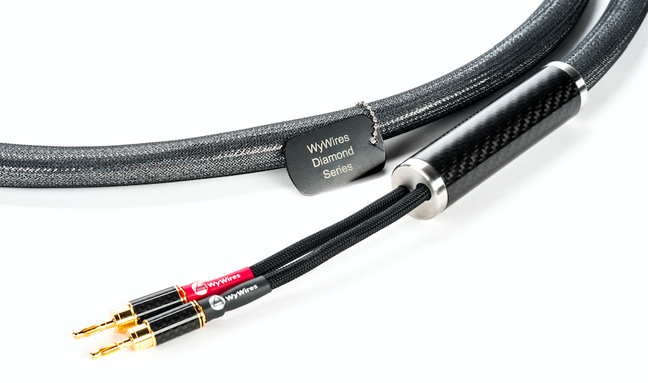 A cable for connoisseurs. 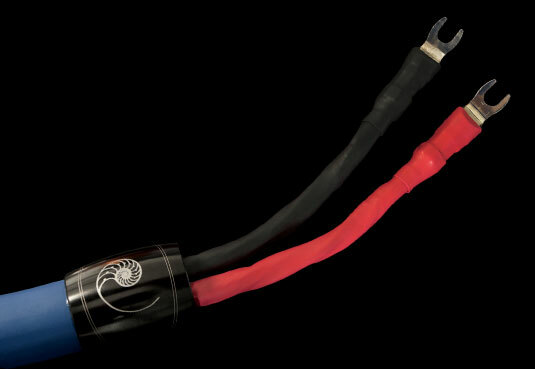 Like MIT’s Oracle MA speaker cable, the companion Oracle MA-X interconnect fully reveals the textural warmth, body, and saturation of tone colors one hears from live instruments. The soundstaging is equally impressive, delivering a huge and transparent rendering with precise placement of images. Small knobs on the termination boxes allow you to fine-tune the sound to your system. 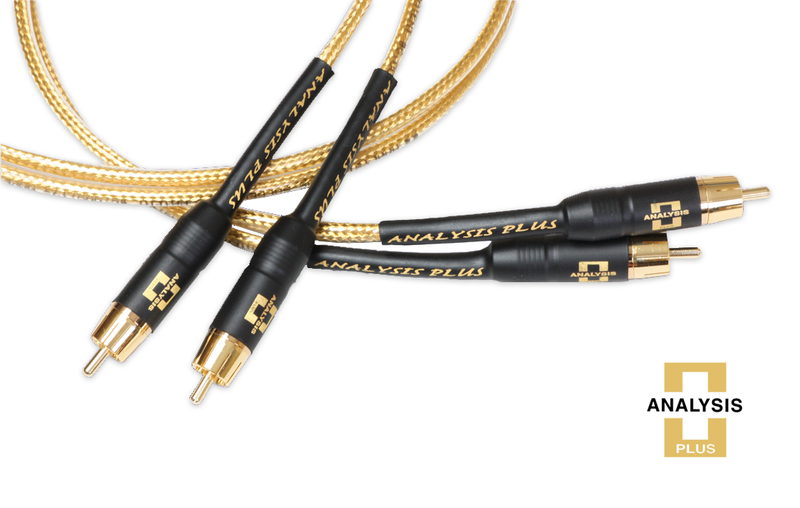 AHC’s general view of interconnects and speaker cables has long been that, while investing in high-quality wire is well worth it, the differences in sound and performance are often exaggerated. The new Generation 5 version of the Transparent Audio XL Cables has changed his mind. The interconnects and speaker cables can be set to match the loads and interactions of specific components, and the end results are clearer and more revealing than both the previous-generation Transparent and virtually all of competition he’s had the opportunity to audition. Even if you are a cable atheist or agnostic, you should really audition the Generation 5s. 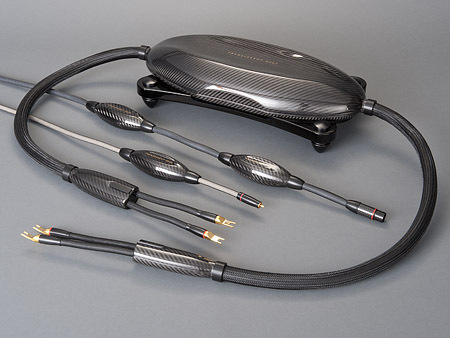 In addition to founding Raidho, Lars Kristensen and Michael Børresen have (famously) had hands in designing many cables, interconnects, and power products for other companies. The four-tier Ansuz line is their first effort on their own, and it’s a helluva debut. This may be the most top-to-bottom lifelike wire (a whole lot of) money can buy. Dead-quiet even on analog sources, extremely detailed, rich in tone color, and very lifelike on dynamics top to bottom, with superb staging and imaging and unusually high transparency to sources, Crystal’s Absolute Dream is JV’s current reference. Simply phenomenal resolution. 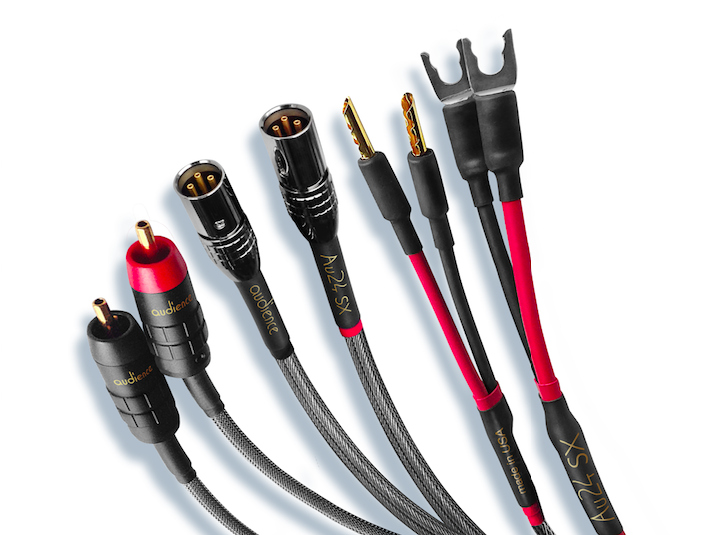 The Oracle MA-X2 interconnect delivers the same sonic virtues as the MA-X SHD loudspeaker cables, creating a synergy that allows each interface to realize its potential. Soundstages are vast (and micro-detailed) with a tremendous sense of bloom around images and lifelike warmth and tone color. The best-sounding interconnects RH has heard. 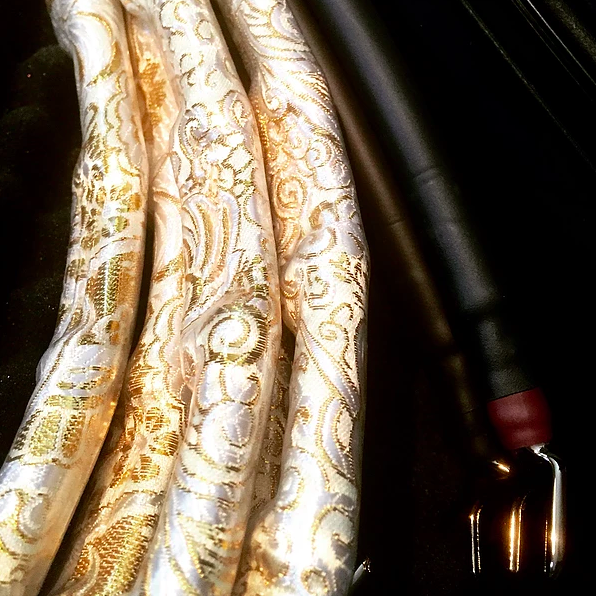 Designer Knut Skogrand has hit a homerun with his premium Beethoven line of cables, which are manufactured by him in Norway. With its 1.00 dielectric single-grain copper wiring, the cable achieves an extraordinary purity that passes along the signal with minimal degradation. It delivers a smooth and organic sound that allows detail to emerge in a relaxed fashion. The unforced sound does not call attention to itself. While there are more overly exciting cables out there, the Skogrand Beethoven offers musicality coupled with impressive dynamics. With the Odin 2, Nordost has taken an already formidable cable and pushed it into the stratosphere where it achieves dizzying levels of performance. 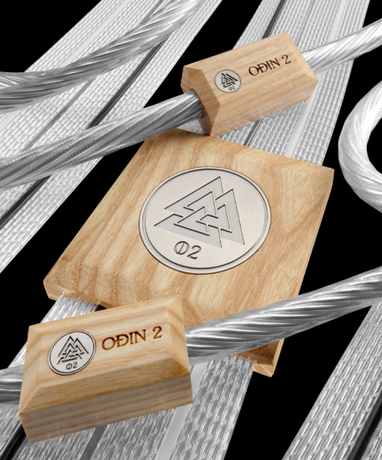 Any lingering sense of aggressiveness and excessive friskiness in the treble region that existed with Odin 1 has been utterly effaced by Nordost’s latest effort. 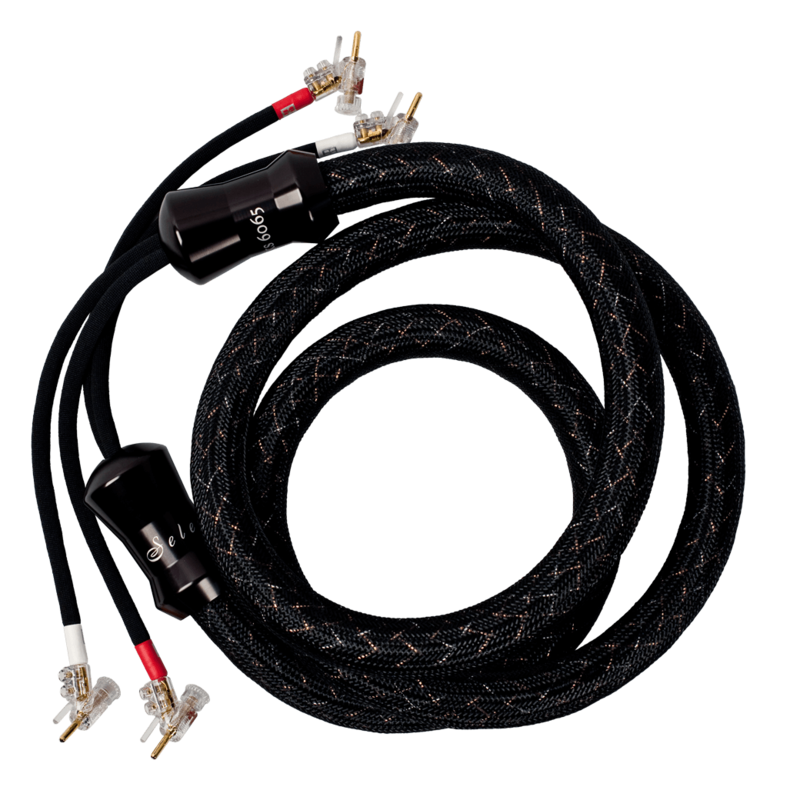 What emerges with the new construction of this cable, which includes different terminations of the plugs and connectors, is a marvelously dynamic and pellucid sound that most of its competitors would be quite hard-pressed to surpass, let alone equal. Add tautness of the bass and solidity of imaging, and you have a real winner. 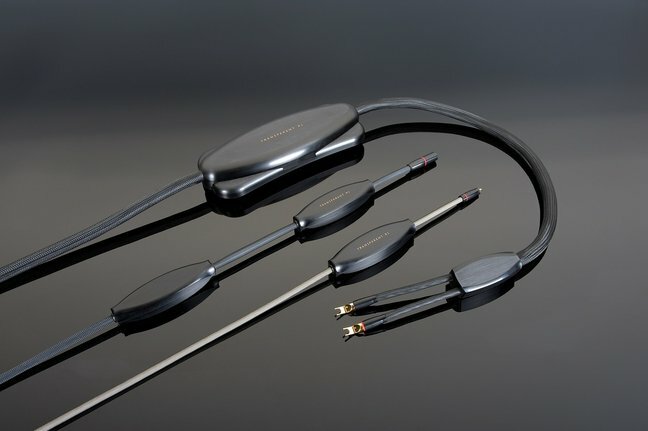 This is an immensely impressive cable that will take the finest audio systems to another level of sound reproduction. 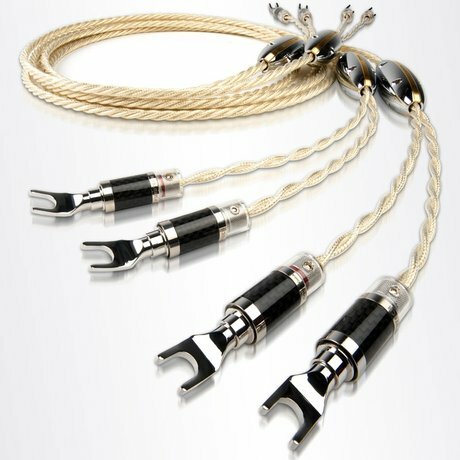 MIT’s ACC268 “Articulation Control Consoles” are undoubtedly the world’s most expensive speaker cables, but they are unlike any cables extant. The control consoles are 45-pound enclosures housing the network along with unique adjustments that allow you to tune the cable to your system. This tuning has nothing to do with tonal balance, but rather with a dynamic verve in different parts of the frequency range. Beyond esoteric and justifiable in only the highest of high-end systems, the ACC268 delivers a sound quality that is unmatched by any other cable in RH’s experience.